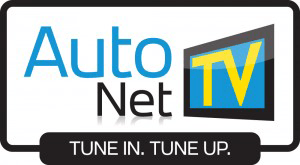 At Northtown Auto Clinic in North Kansas City, MO, our passion for all things automotive has made us peoples’ trusted source for car repair since 1982. Our reputation for superior service stems from our technicians’ decades of experience, as well as our commitment to consistently keeping up-to-date with the latest advancements in the automotive industry. Our technicians are ASE certified. In addition, we confidently back our auto repair with a 36 month/36,000 mile Warranty, guaranteeing that your work is completed correctly the first time and to your total satisfaction. Instead of going to several different locations for your car care, visit the experts at Northtown Auto Clinic for a wide variety of auto services. Whether you need a quick oil change or preventative maintenance, complex diagnostics or detailed engine repair, our friendly team at Northtown Auto Clinic is always happy to help you get back on the road safely in no time. In addition to providing you with you with necessary repairs and regular maintenance, we offer extended services such as transmission repair, programming and software upgrades, and we’re even a licensed Missouri State Inspection Center. As the cost-effective alternative to a dealership, we provide customers with the attention and care they expect from an independent auto repair shop. We’re dedicated to going above and beyond for our customers, including the time that they spend in our shop. We want to make sure your visit is as pleasant as possible. While your vehicle is being serviced, you’re welcome to take advantage of the free Wi-Fi in our comfortable, modern waiting area. We also offer free coffee and refreshments, as well as magazines. Our local shuttle can take you wherever you need to go, free of charge, and if you’re in need of a tow, Mel’s Tow Service is on call 24/7 to pick you and your vehicle up. We even have low-cost rental cars available for when your vehicle needs repairs. 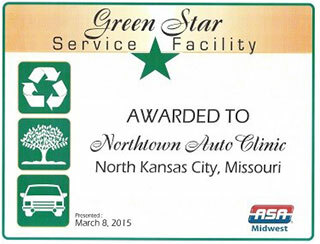 Call or click today to experience the Northtown Auto Clinic difference for yourself! Give us a call, Schedule an Appointment Online, or stop by and visit the friendly team at Northtown Auto Clinic for all of your automotive needs. Our team is happy to provide you with helpful answers, honest advice, and the best auto repair North Kansas City, MO has to offer.